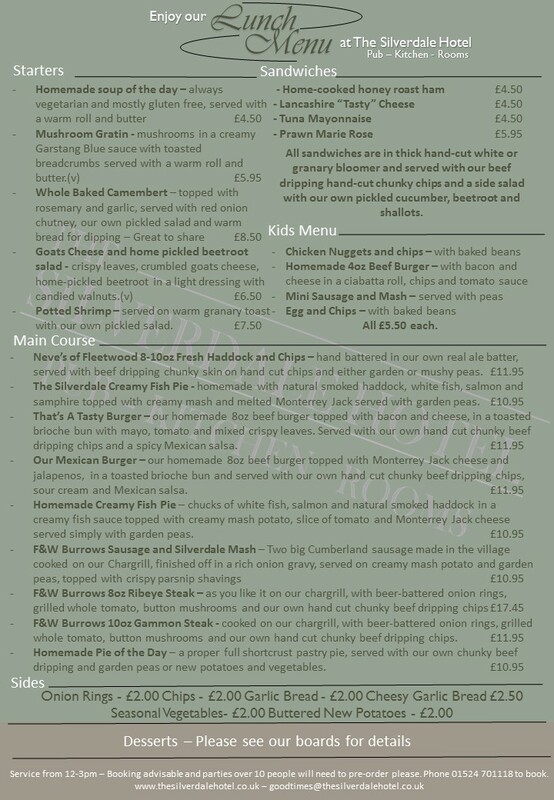 This menu is served Tuesday through Saturday 12pm till 3pm with last orders being 15mins before the end of service. We are really proud of the food we prepare, and of the people who serve it. 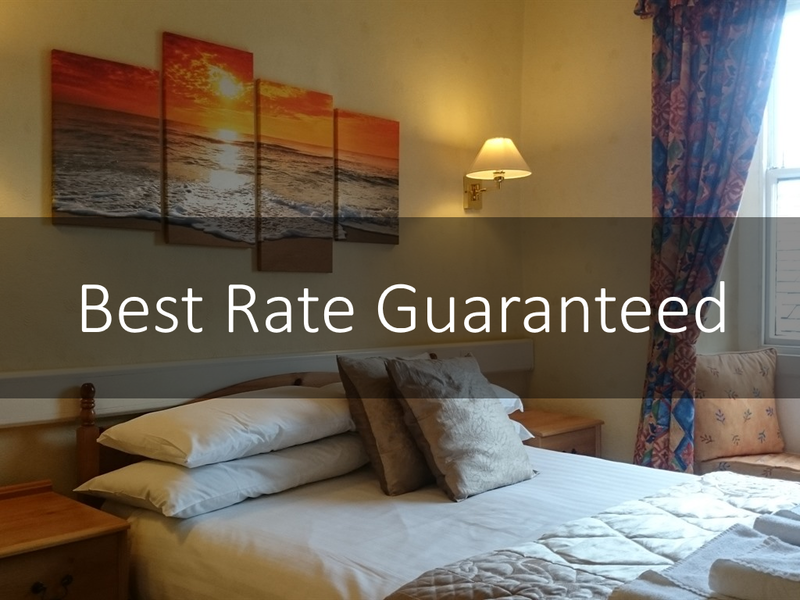 We use local produce from local suppliers and are sure you will find something that tickles the taste buds. 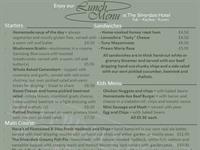 This is our Lunch Time menu which showcases our favourite dishes. We try to ensure all these dishes are available all the time but sometimes people enjoy them so much we may run out. 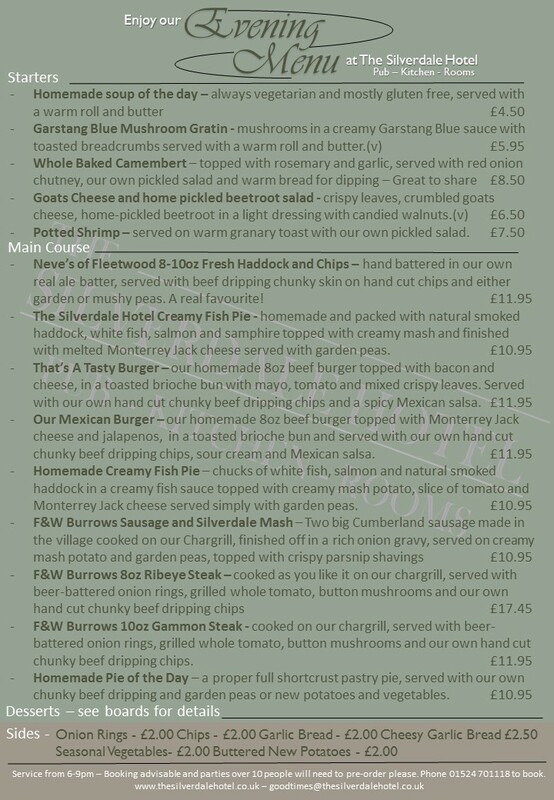 Please Click Here to view our Daytime Menu. This is our Evening menu and is served Tuesday through Saturday 6pm till 9pm with last orders being 15mins before the end of service it showcases our favourite dishes. Please be aware that whilst we try to ensure all these dishes are available all the time sometimes people enjoy them so much we may run out. 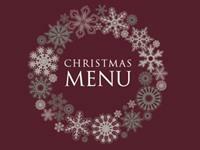 There will also be a great choice of Daily Specials to choose from too. Enjoy! You can right click on the image with your mouse and save the image to print off, or send to your friends! 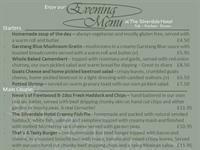 Please Click Here to view our Evening Menu. 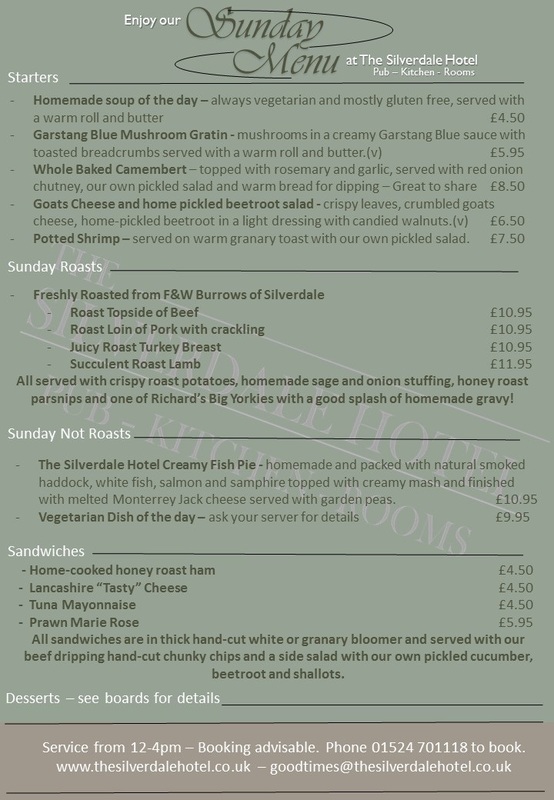 Sunday's are all about Sunday Lunch at The Silverdale Hotel and this menu is served 12pm til 4pm on Sundays. We love a great Sunday Roast and as you will see from our menu that is very much what we focus on delivering. We also do smaller versions for lighter appetites and our great fish pies and of course vegetarian options too. 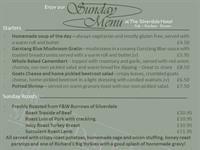 Please Click Here> to view our Sunday Menu.